The Caribbean nation of Haiti may trigger some associations of palm-fringed beaches, a gentle way of life and the dream of idleness in the sunshine. Actually, however, Haiti is one of the poorest countries in the western hemisphere and also far less developed in terms of tourism compared to the neighboring Dominican Republic. The state is located on the island of Hispaniola and is home to a special spirit that may actually be completely unknown to many people. I am talking about the so-called Clairin which doesn’t fit easily into a special category. Haiti is not necessarily known for its big rum production, but if we’re up to categorizing the Clairin, it could be called a special kind of rum. However, it’s not been made from sugar cane molasses like most Caribbean rums, but owes its unique characteristics because of pure sugar cane juice as the base product. 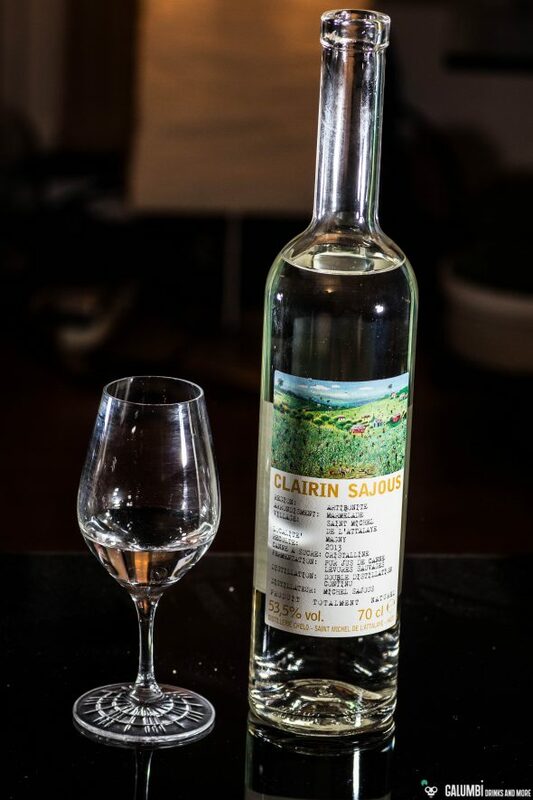 In this respect, Clairin can better be compared with Rhum Agricole that’s also produced from sugar cane juice. The Clairin is distilled twice during the production process and is then finally bottled without any maturation inside of a cask. So we’re dealing with a kind of white rum from sugar cane juice, which has been bottled with a quite veritable drinking strength of 53.5%. Clairin comes in different qualities and classifications, for example Vaval, Casimir or Sajous. 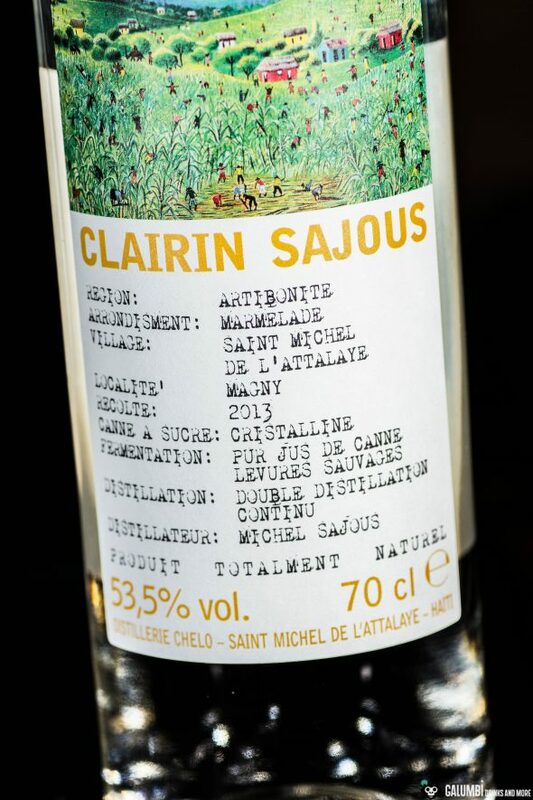 The bottle I’d like to present today is a Clairin Sajous from the Chelo distillery in the village of Saint Michel de L’Attalaye in the heart of Haiti. The exact regional information can also be found on the label of the simple but beautifully designed bottle (Artibonite region, Arrandisment Marmelade, etc.). 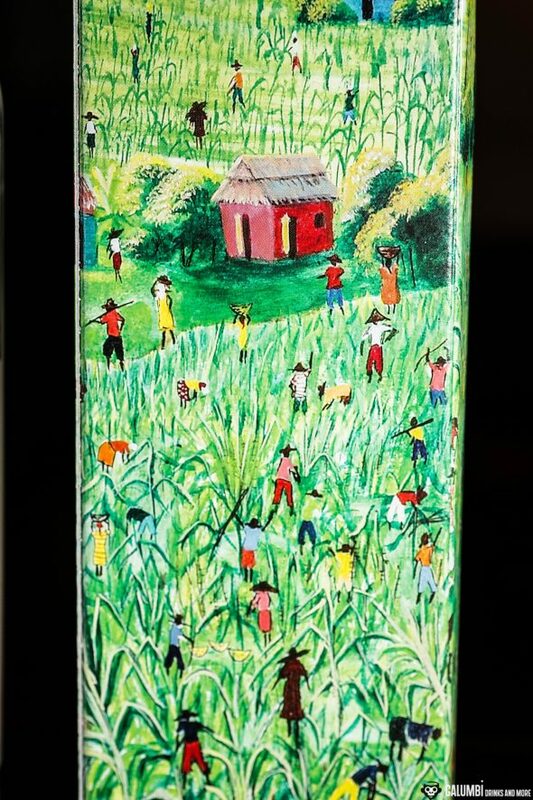 Bottle and packaging are adorned with typical scenes of the sugar cane harvest in Haiti. 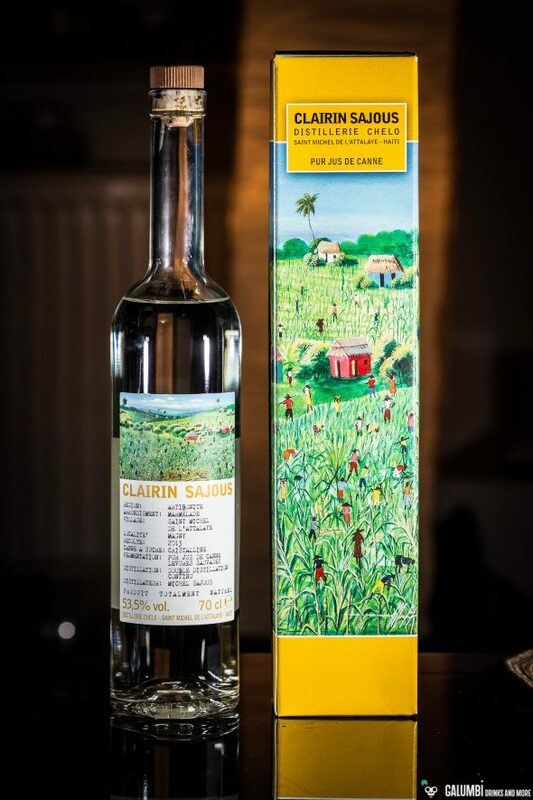 Speaking of sugar cane: The label also informs us about the type of sugar cane that was used for the production: Clairin Sajous is made from 100% Haitian “Christalline” sugar cane. Granted, that does not tell me really much, but who is more into the sugar cane matter will certainly be thankful for this valuable information. But now to the aroma and taste of Clairin Sajous, because at this point we’re really dealing with an unusual but nonetheless really great spirit. Aroma: In fact, you can immediately scent the sugar cane very intensely and fully aromatic. It is joined by hints of fruits like apples and pears and a little artichoke. Also green and slightly grassy notes can be found subtly in the background. 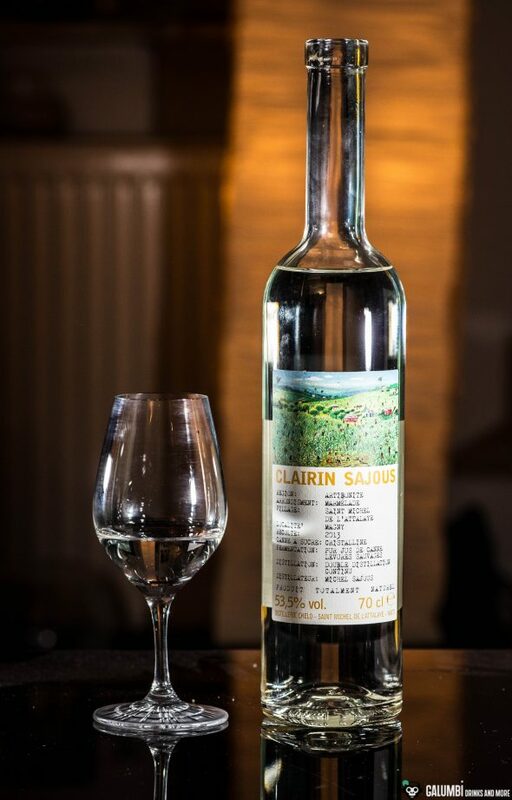 Taste: On the palate the Clairin Sajous also comes with very intense spicy-sweet sugar cane, subtle citrus tones and a subtle vegetal profile. Really awesome! A little bit like certain white rums, but mostly comparable with Rhum Agricole, yet still independently. Buying Sources: Clairin Sajous can certainly not be found anywhere, but you may have luck visiting some seclected specialized dealers. If you are a spirits dealer yourself, I can recommend you to look for the Clairin Sajous here (only in German language).